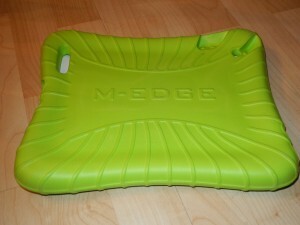 I recently had the opportunity to try out M-Edges Super ShellCover for ipad. I was quite impressed by it’s design and durability. 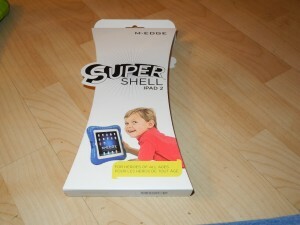 It should be a nice product to use for special needs kids who use Ipad’s as well as younger ones too. I let a local preschool borrow it for a day and they really liked its design, construction and ability to protect the Apple Ipad 2 from harm. M-Edge Accessories was founded in 2006 as a solution to the growing demand for fashionable and protective accessories for e-readers. Since its inception, M-Edge’s product offerings grew rapidly to include several lines of accessories for the most popular e-reader and tablet devices on the market, including iPad, Samsung Galaxy Tab, and the Kindle and Nook family of devices. M-Edge’s innovative e-reader and tablet accessories exude style and sophistication while providing complete device protection. M-Edge’s mission is to enhance the experience of everyone who comes in contact with the brand by creating innovative and stylish products, evolving with fast-changing technology, and inspiring them to reach their full potential. M-Edge products are currently available in Best Buy, Target, Walmart, Staples, and RadioShack stores nationwide, as well as select Bed, Bath, & Beyond and Nordstrom stores. M-Edge has been featured in national publications such as InStyle, O, The Oprah Magazine, People Magazine, Engadget, Wired, and CNET. Look – it’s a bird, it’s a plane, no wait – it’s SuperShell! This kid and family-friendly foam frame for iPad is the perfect addition to the superhero’s utility belt. 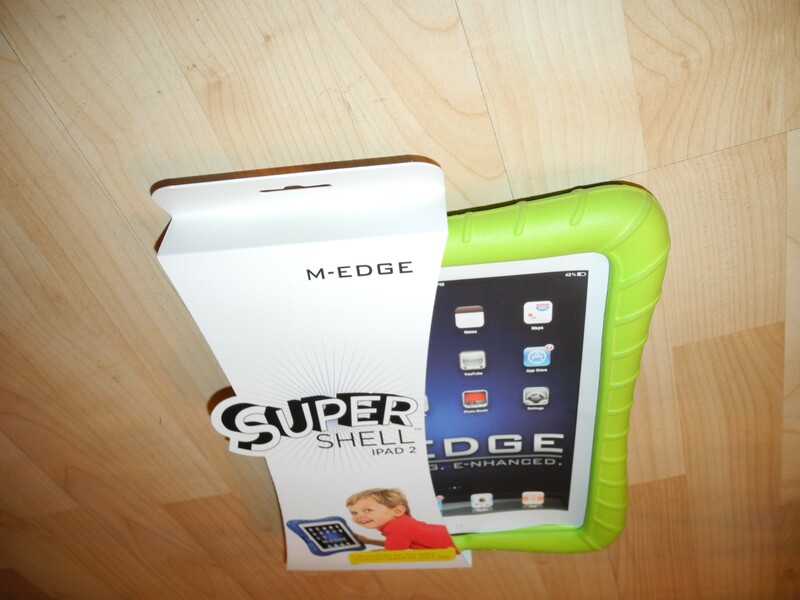 The SuperShell is made from ultra-protective closed-cell foam that helps absorb shocks if the iPad is dropped. The case wraps around the iPad and provides access to the rear facing camera and speaker, with push buttons for volume and power. The finely dimpled texture and ridges create an easy, handheld grip while the thick, high-impact corners provide maximum protection. 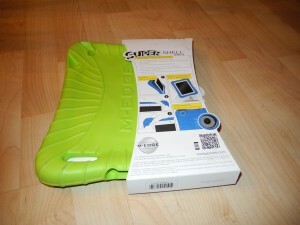 Available in superhero colors like Atomic Green, this case will save the day! M-Edge, a leading edge manufacturer of innovative tablet and smart phone cases, now has a case they say can be said to be kid proof. They can also be used by people that are rough on such products. 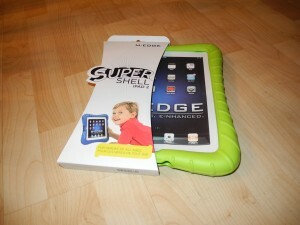 I would definitely recommend it anyone who needs to protect their Ipad 2 from harm!!! I wish that they had one for my HTC View 4g in blue or orange. If we ever get funded to give away Ipad’s to autistic children and young adults as is our mission and dream, these would be a great addition to include with each one!!! 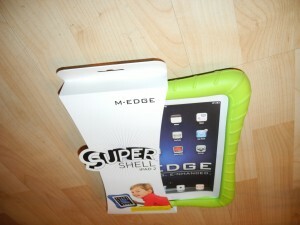 Be the first to comment on "M-Edge Super Shell for Ipad 2 a product review from Technewszone"